Mount Bromo Semeru Ijen Trekking Tour Package 5 Day 4 Night – BromoSemeruTrekking.Com . 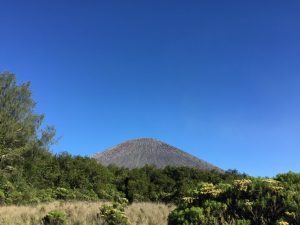 Best Combination of Volcano trekking and climbing in Java fo Mt Semeru Tekking, Mount Bromo Trekking, Ijen Crater and Blue Fire Trekking. Cheap price and complete facility for privat tour or group tour. 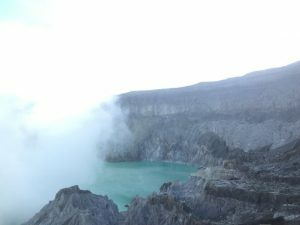 Bromo Semeru Ijen Trekking Package , with duration trip is 5 Days 4 night tour. Is the best package for real traveler who like adventure in the nature by start tour from Surabaya , Malang, Bali Yogyakarta or another place. Pickup you up at your arrival in Juanda Airport Surabaya then deirecly drive to Malang , its take 3 – 4 hours trip, overnight in Tumpang Homestay , Ranu Pani Homestay or Hotel near Mount Bromo. Mount Semeru Tour Trekking start summit at 02 am, we ready to reaching the peak of Mount Semeru (highest land in Java), it’s take around 3-4 hours trekking to the peak of Mount Semeru, then trekking back to Ranu Pane Village and after complete for Semeru trekking tour continue trip by 4wd Jeep drive to Cemoro Lawang, stay overnight at Bromo Hotels. Tour to Mount Bromo start in early morning we will take you drive by 4WD Jeep to see the spectacular and stunning sunrise from peak Penanjakan. In this place view point enjoy the magnificent view of Mount Semeru and Mt Bromo. Then we will drive you cros of sea sandy area. From jeep parking area hiking to rom of Mount Bromo Volcano. From here you can see the sea of sands and viewing the Holy Hindu’s temple held by local Tenggerese Tribe from Bromo it’s called Pura Ponten. Back to Hotel breakfast and then after chek out will drive to Sempol Village, the nearest village in Mt I jen area . This trip around 5 hours driving. 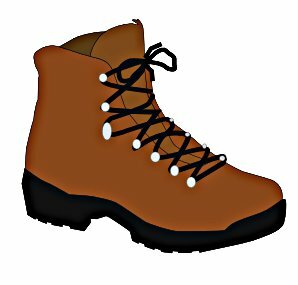 Chek in hotel and visit Blawan Water fall and Ijen Hot springs . Back to Hotel and rest. 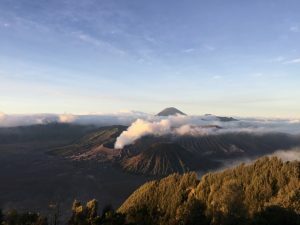 How to booking Mount Bromo Ijen Semeru Trekking ?